When it comes to experiential marketing, there’s one place where brands shine—the not-so-little-anymore brand-a-palooza called South by Southwest. And AMC’s Better Call Saul activation is one of the best, most detail-oriented conceptual executions you’ll find. 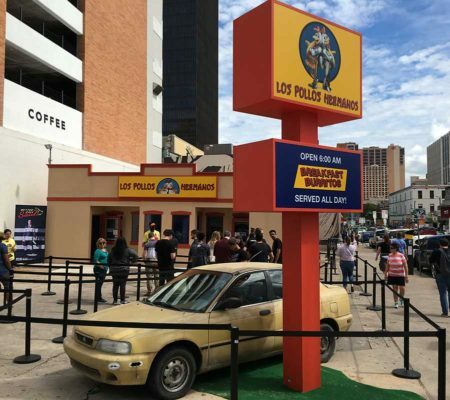 On this first weekend of SXSW Interactive, passersby arriving at 122 W. 5th Street (on the corner of 5th and Colorado) will find a peculiar and oddly delightful sight—a full-scale replica of Los Pollos Hermanos. 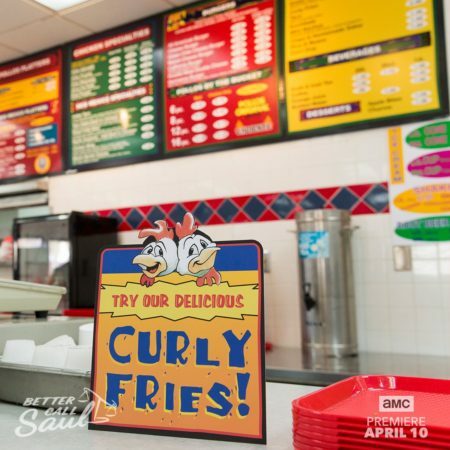 The pop-up version of the infamous chicken chain, known for the super-shady dealings made within its walls on AMC’s Breaking Bad, heralds the upcoming appearance of the chain’s owner, Gus Fring (played by Giancarlo Esposito), in season 3 of the prequel series, Better Call Saul. Complete with a sign-wielding chicken mascot, the beat-up Suzuki Esteem driven by Jimmy (played by Bob Odenkirk), perfectly detailed signage and building facade, the comically earnest pop-up restaurant’s humble footprint is dwarfed by the Austin skyline. Fans, as well as curious people who just wanted a quick snack, queued up outside Friday. The restaurant was built from scratch in three days and borrows props from the show—gumball machines, the clock and Jimmy’s car. Another fun detail is the #LPHisHiring hashtag, which customers can use to “apply” for a job (which is actually a contest entry to an exclusive autograph signing with Odenkirk and Esposito to close out the activation on Sunday evening). Season 3 of Better Call Saul premiers April 10 on AMC. The SXSW activation runs through Sunday, where it will disappear forever into the night. 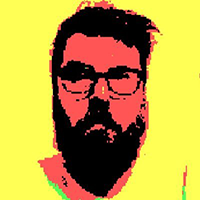 Alfred Maskeroni is director of video for Adweek.